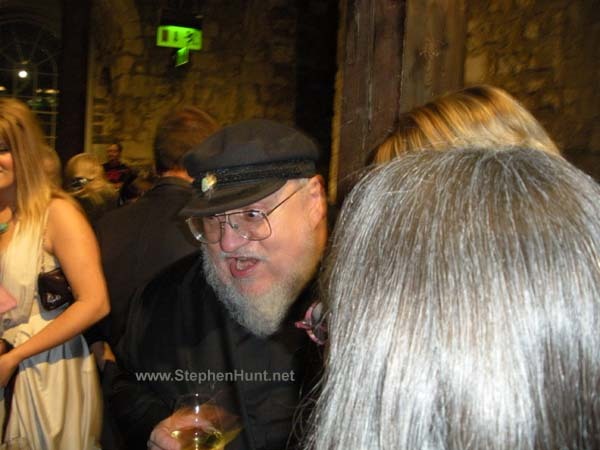 George RR Martin swings at the Tower. 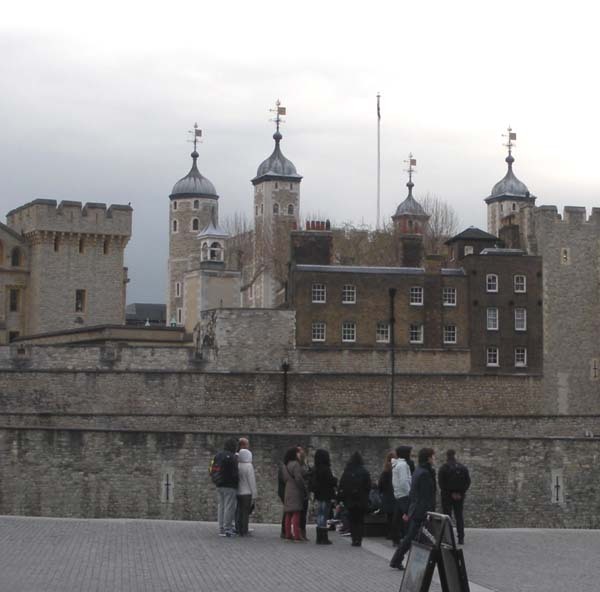 Normally when you go to the Tower of London, it’s to lose your head. 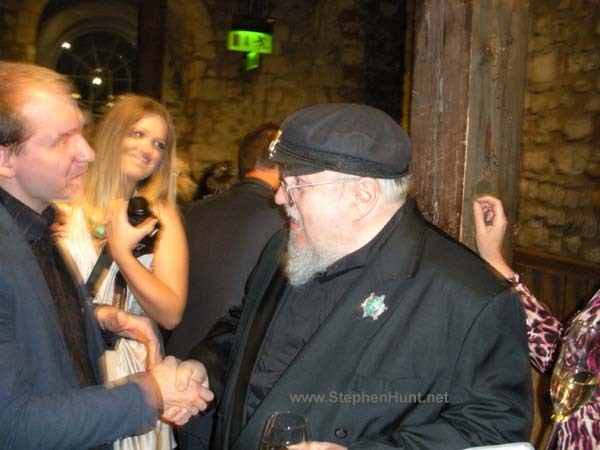 Fantasy author George RR Martin went there after hours (after all the tourists had cleared out) for a special invite to be shown around the tower, and enjoy an exclusive party, care of his publisher HarperCollins (same bods behind my Jackelian novels). 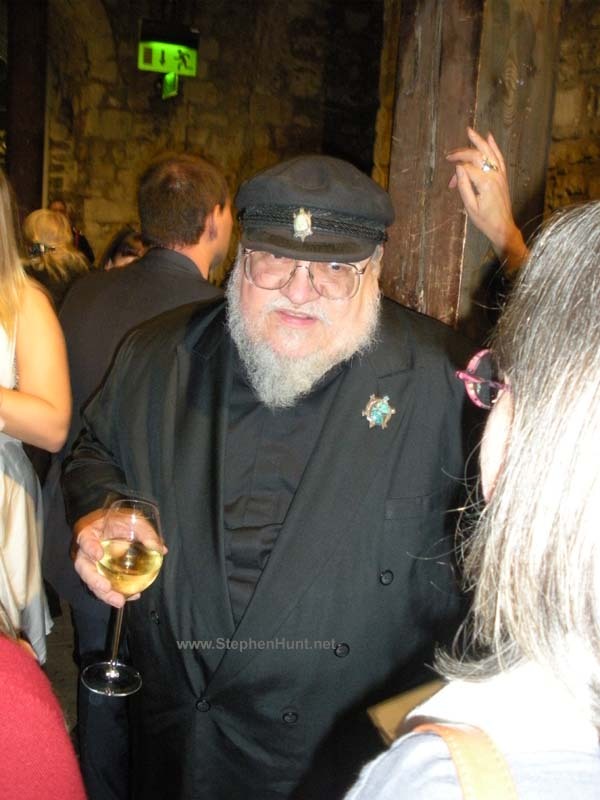 The great and good of the genre and media world were there to stop George slipping the Crown Jewels in his bag, and raise a few bottles of wine in honour of Game of Thrones. Here’s my photos from the party night. 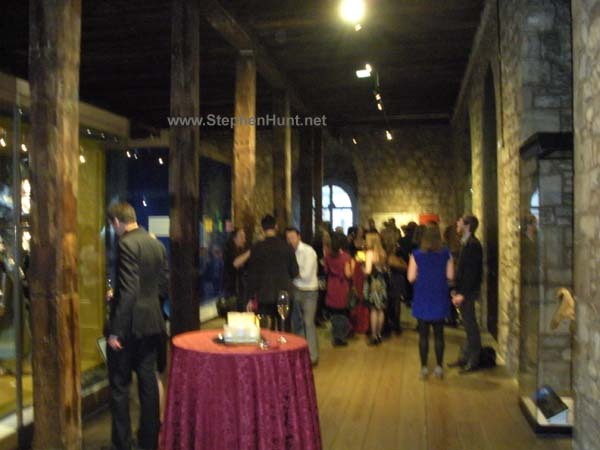 Thanks to the team at HarperCollins Voyager for arranging this bash – lots of hard work, and a great night was had by all. 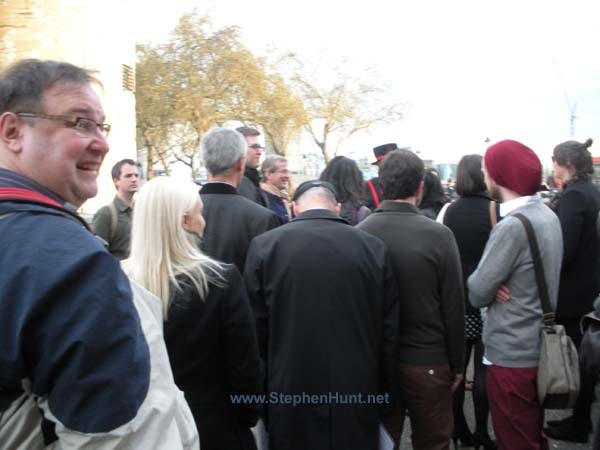 Invitees head for the Tower. George and gang wait for the Beefeaters. 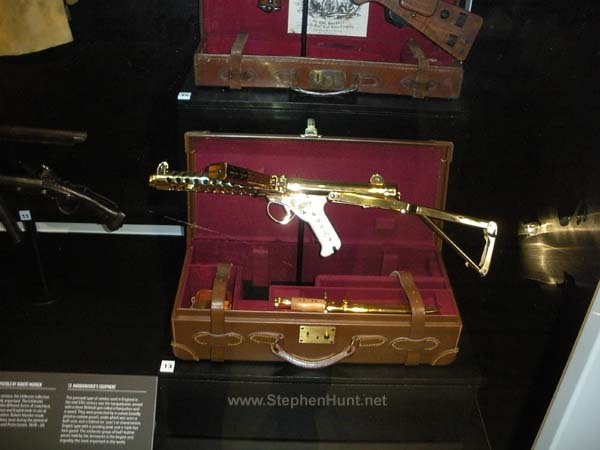 We pass the Queen’s gold-plated sub-machine gun in a case (yes, true, it’s hers – gift from Saudi – don’t know what they think she hunts with). George gets into the swing… no sign of the guards turning up yet. The Queen’s representative? Pleased to meet you, old boy. 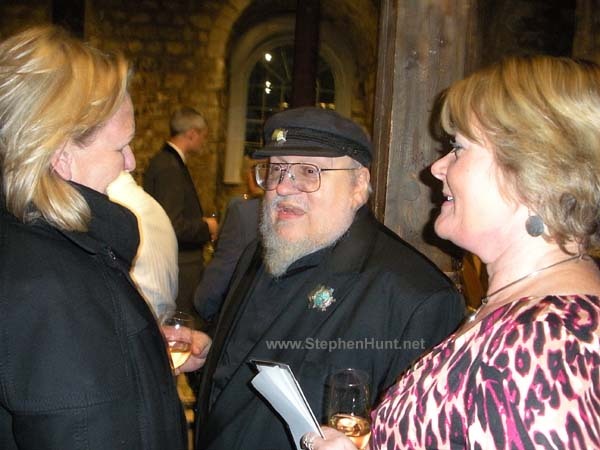 George chats with Jane Johnson, Voyager’s own Queen of Literature. 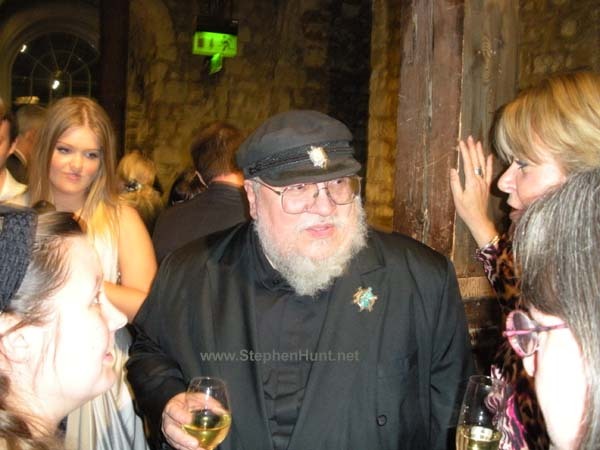 Bling weapons, bright costumes and George RR Martin, sounds like most SF cons.